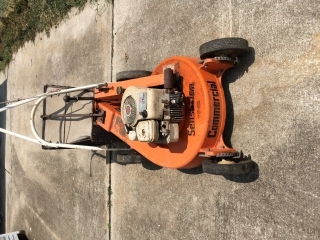 I am still selling my coveted Self Propelled mower because quite frankly I need the garage space. I have enjoyed this mower tremendously, but the previous summer we added a rear deck and reduced the back yard considerably. I now mow it with a Cemetery model. I plan to list "Big Daddy" on EBay but would prefer selling it to a Sensation aficionado. Let me know if you're interested and perhaps we can work out a delivery deal.